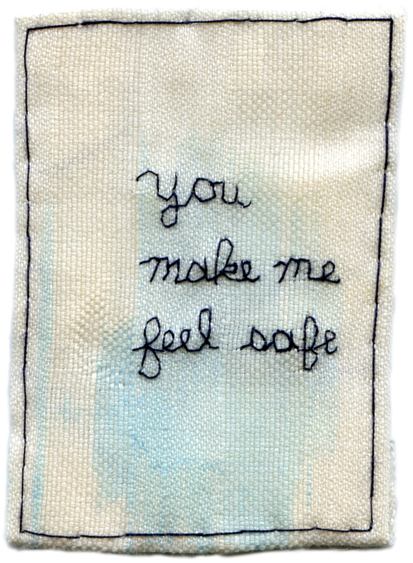 “You make me feel safe.” 2013. Embroidery with paint stain on fabric. 3.75″ x 2.5″. Donated to Trestle 2015 benefit. On view Friday, November 13, 2015 at 168 7th Street, 3rd Floor.